Bengaluru-based DailyRounds Inc, an app-based medical journal for doctors, has raised an undisclosed amount of funding from Accel India and Asuka Holding of Japan. Existing investors Beenos Partners and Powerhouse Ventures also participated in this round, The Economic Times reported on Thursday, citing co-founder Deepu Sebin. The startup will use the funds to increase its user base and add more content, the report said. 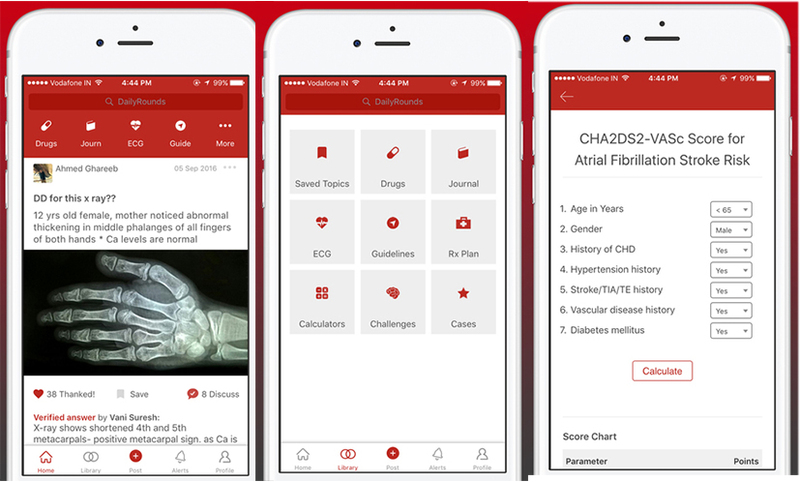 DailyRounds is an academic network for doctors where they can access clinical case studies. Available on Android and iOS, it also helps medical students prepare for exams. In March last year, the firm had raised $500,000 (Rs 3.1 crore) in seed funding from Kae Capital, Beenos founder Teruhide Sato and GSF India. DailyRounds joins a bunch of other health-tech startups in raising funds recently. On Wednesday, Gujarat-based PurpleDocs, a healthcare records management firm, raised investment from KellyGamma, Lead Angels and other investors. Last week, Doctor Insta secured over $1 million (Rs 6.7 crore) from US-based venture capital firm RoundGlass Partners. The firm offers app-based and video conferencing medical consultations. In July, app-based healthcare consultation platform SeeDoc raised around $1 million in pre-Series A funding led by early-stage venture fund YourNest and others.